The Royal Mile is a mile-long, historic street in Edinburgh. It stretches from the palace of Holyrood House all the way to up Edinburgh Castle. 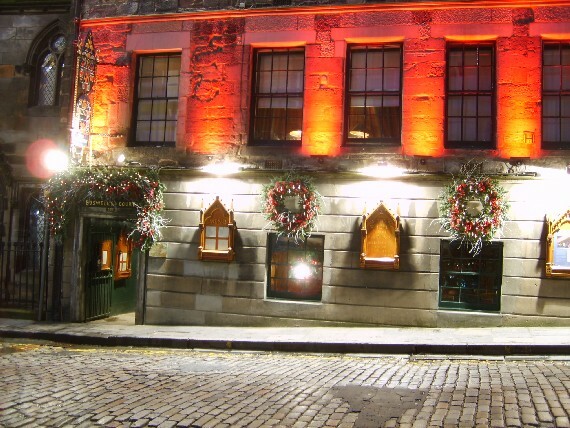 Along the way, there are lots of landmarks to see including St Giles Cathedral, the Scotch Whisky Experience, the old toll house with its lovely clock, John Knox House and the Royal Mile Pub. If you’re looking for somewhere to eat, the Royal Mile and the streets leading from it have become dotted with eateries ranging from traditional Scottish cafes to bistro style restaurants. 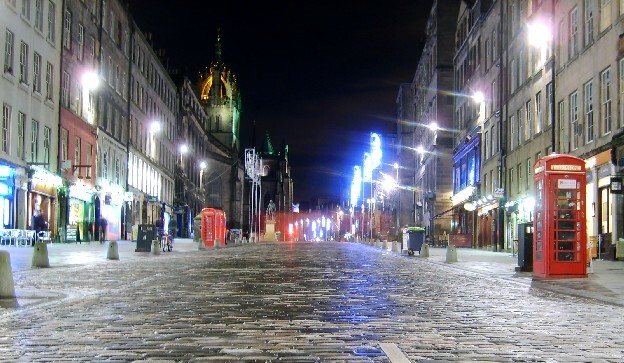 You’ll find restaurants chains, coffee shops and international cuisine around the Mile too. Different street names link up to make the Royal Mile, so you may find it called Canongate, High Street or Lawnmarket in places. 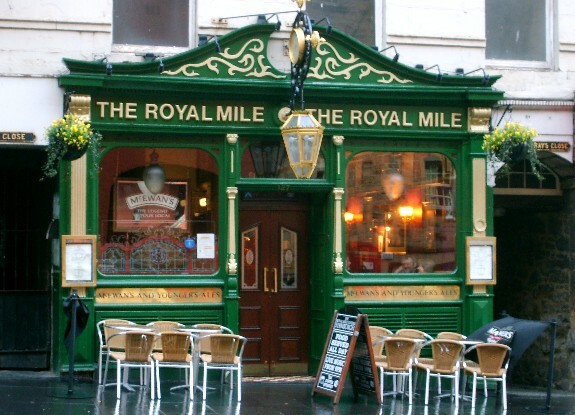 The Royal Mile is the starting point for many of Edinburgh’s Walking Tours. The Murder & Mystery Walking Tour and the Secrets of Edinburgh’s Royal Mile Walking Tour consistently get great reviews from tourists.